Late last year, Cinemark launched Movie Club. MoviePass proved that film lovers are interested in a subscription service. But as that embattled company continues to experiment with its model, Cinemark thinks its rollover offer is the right monthly plan for film fans. Late last year, Cinemark, the owner of nearly 550 theaters in the United States and Latin America, launched Movie Club. The subscription plan can be used at its more than 4,500 screens in the United States. The company also owns the Century, Tinseltown and Rave chains. The service now has 350,000 members, which is more than double what it reported just three months ago. Cinemark (CNK) CEO Mark Zoradi said in an interview with CNNMoney Wednesday that Movie Club offers a lot that you can't get with MoviePass. Its service gives members one ticket per month for $8.99. The tickets are for standard movies and don't include 3D or IMAX films. But Movie Club members can roll over their unused tickets indefinitely. So if you don't like summer blockbusters and only want to see Oscar contenders in the fall and winter, you can stockpile tickets for the end of the year. "We're targeting frequent movie goers, not the ultra movie goer who goes to the theater four to five times a month," Zoradi said. "Most people go one to two times a month. That's why we designed the program with a rollover so it's not a use-it-or-lose-it proposition." Movie Club also lets members buy tickets for nonmembers at the $8.99 price. And there's a 20% discount at the concession stand so you can get a bargain on popcorn and Junior Mints. Zoradi said that the problems facing MoviePass and its penny stock parent Helios and Matheson (HMNY) might present an opportunity for Cinemark. MoviePass rocked the entertainment industry by initially letting people go to as many movies as they wanted per month for a flat fee of $9.95. That was great for film fans, but not the company. That's because MoviePass was buying tickets from the theater chains at full price. 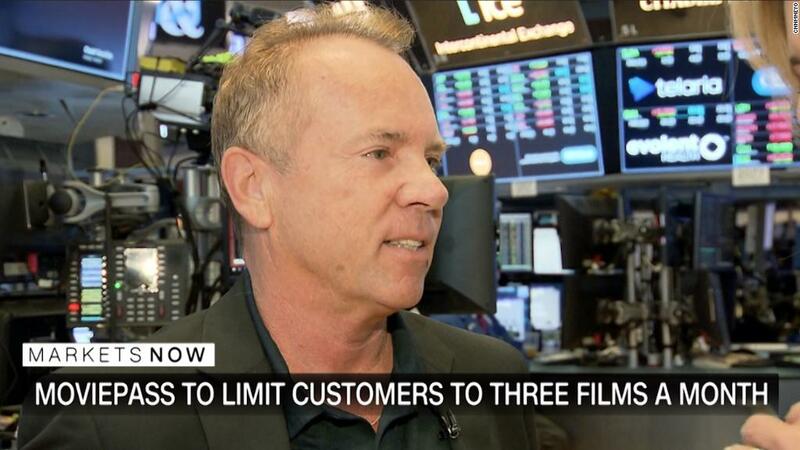 The model proved to be unsustainable: MoviePass now limits customers to three movies a month. But Cinemark has no plans to change its offerings to make them more like MoviePass. "We are never going after people who wanted an unlimited plan," Zoradi said. The company's main threat comes from rival movie theater owners. Cinemark's stock is up 5% this year. But that lags the more than 20% jump in AMC shares. AMC (AMC) offers a subscription plan called Stubs A-List, which launched at the end of June and already has 175,000 members. Regal Cinemas, which is now owned by UK theater giant Cineworld, has experimented with Uber-like surge pricing so that people could pay lower prices to see movies playing at less popular times -- and more for big blockbusters. 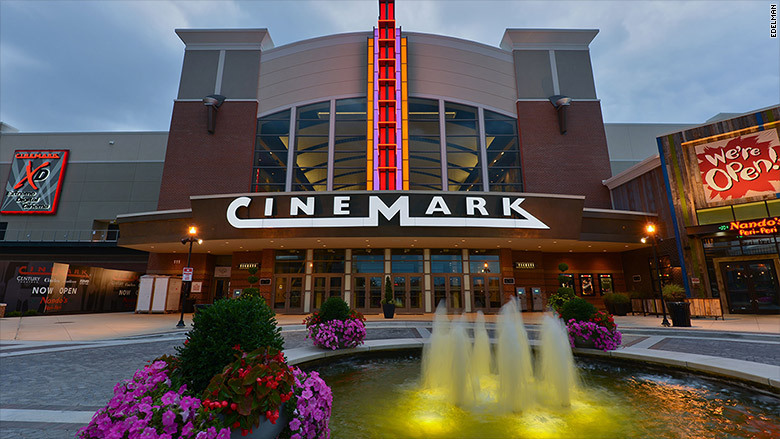 But Zoradi is confident that Cinemark will continue to attract even more moviegoers. The company is spending heavily to remodel many of its theaters. And box office trends are encouraging. Zoradi said he's particularly excited about next year when sequels to "Toy Story," "Frozen," "Top Gun," "Spider-Man," "It," "The Lego Movie" and "How to Train Your Dragon" are on the schedule -- not to mention the next "Avengers" and "Star Wars" movies. "We are looking forward to 2019. I've never seen as many key weekends already locked up as studios put their tent pole flags in the ground," Zoradi said. "Movie going is alive and well."